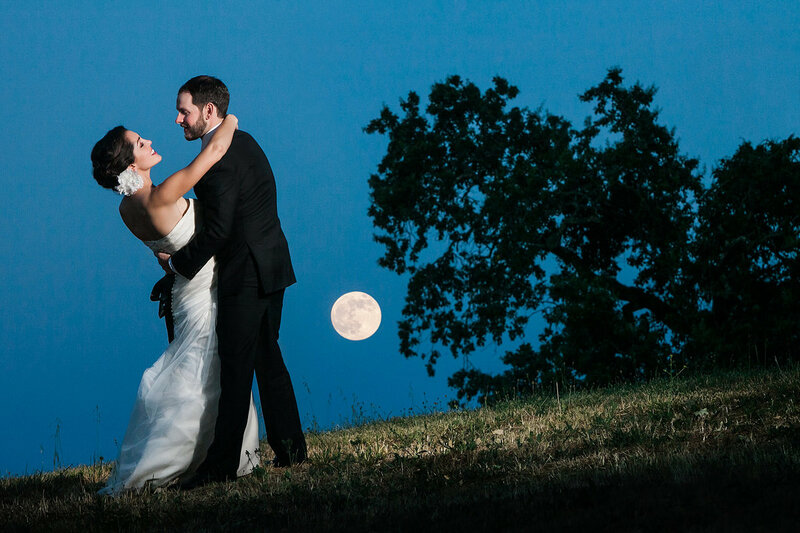 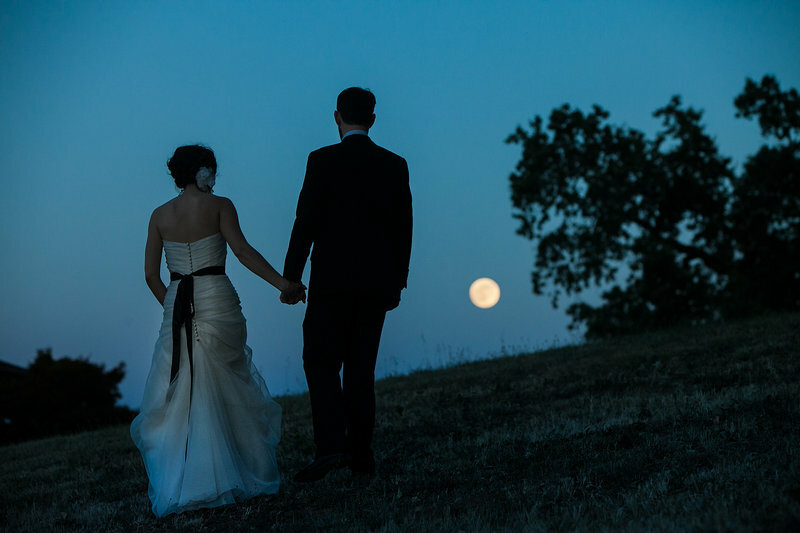 Jen and Rob are filmmakers in Los Angeles, and they couldn't have had a more cinematic moment than the dazzling supermoon that rose over the hills of their winery wedding in Northern California! 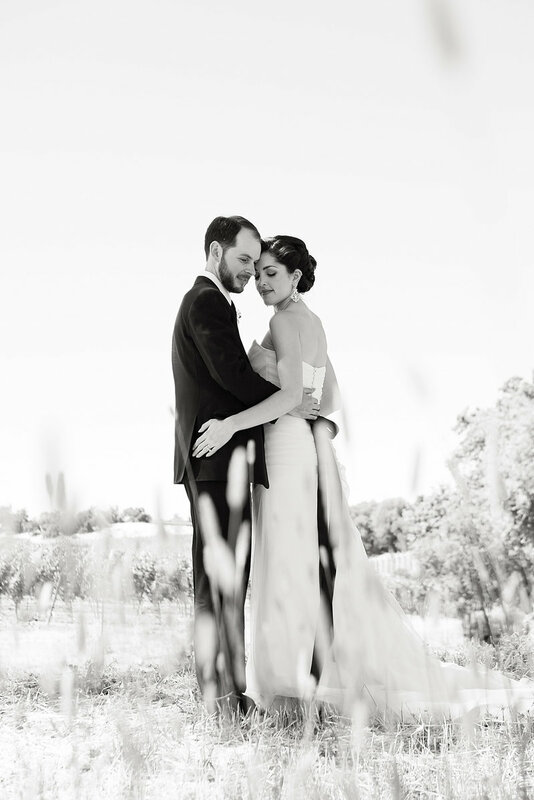 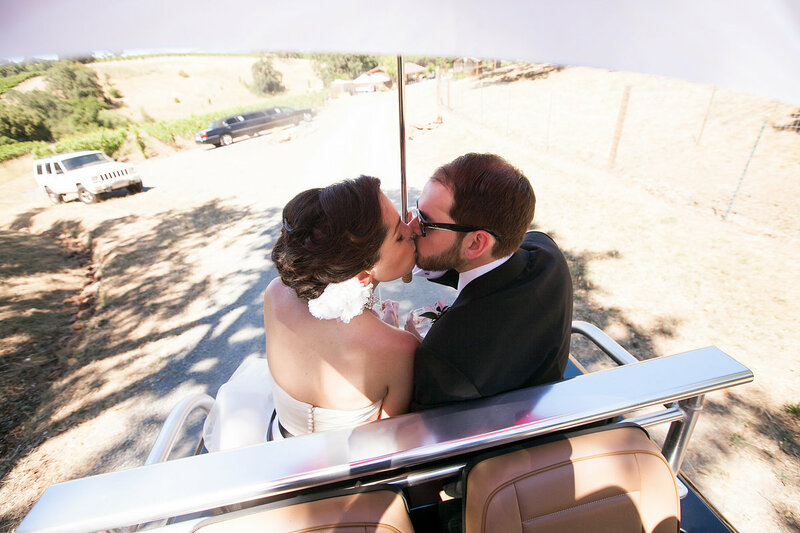 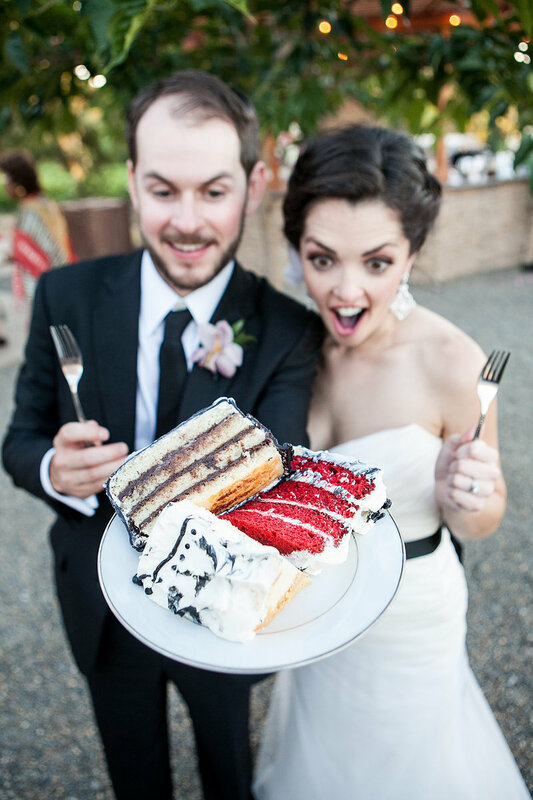 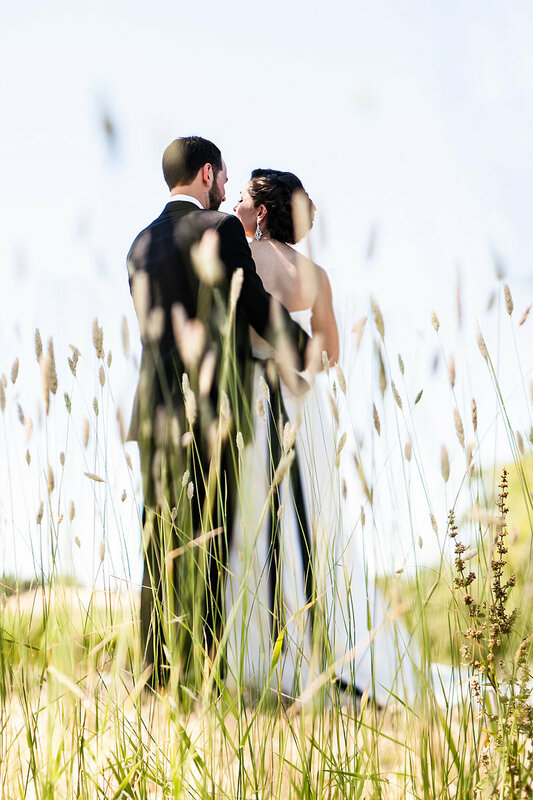 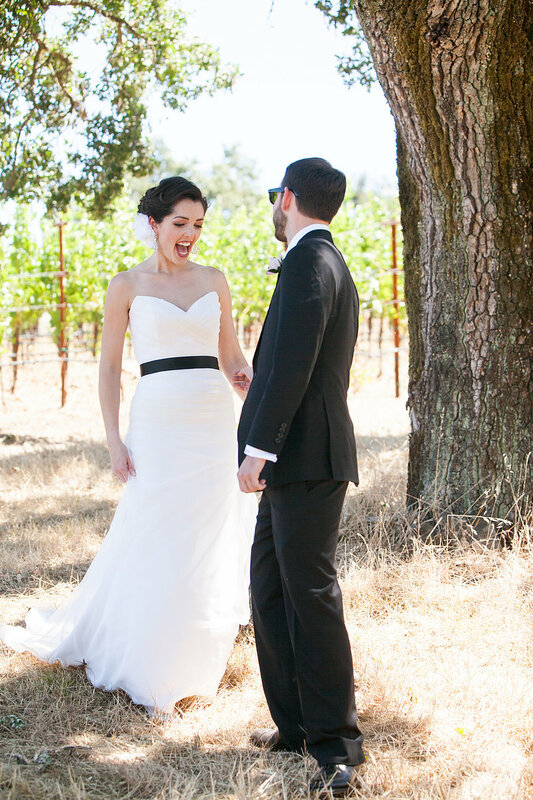 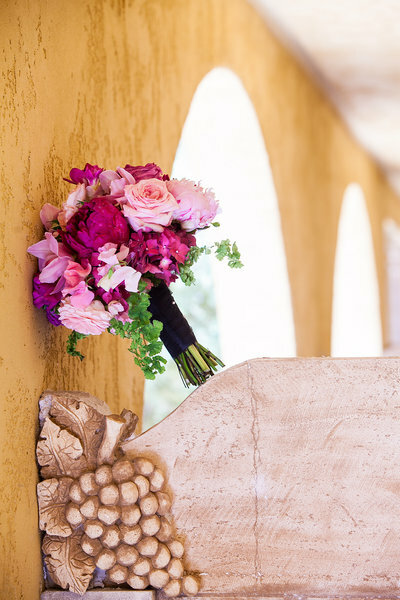 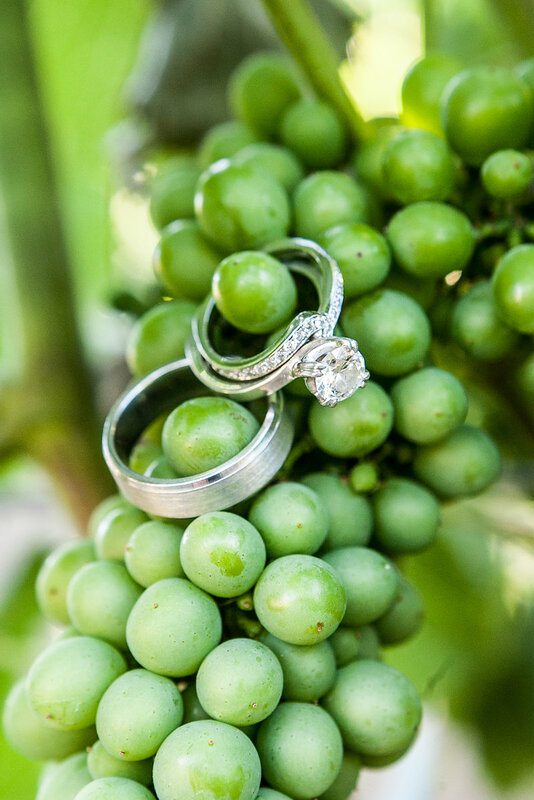 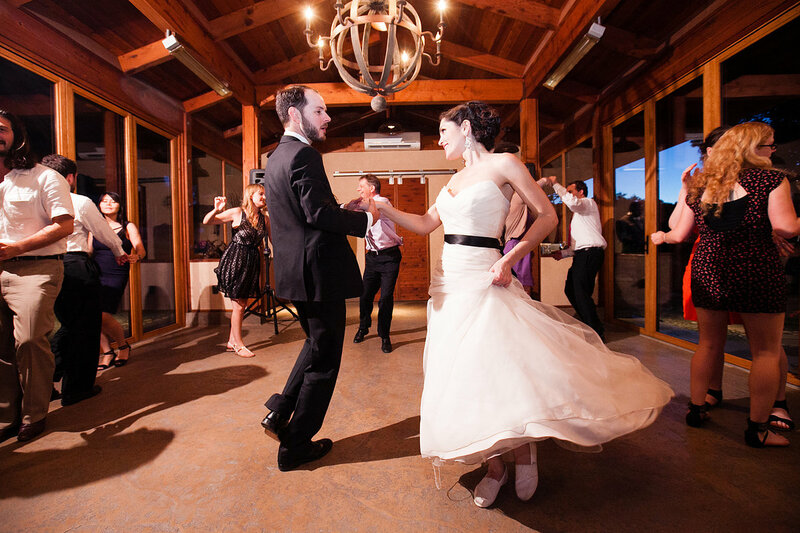 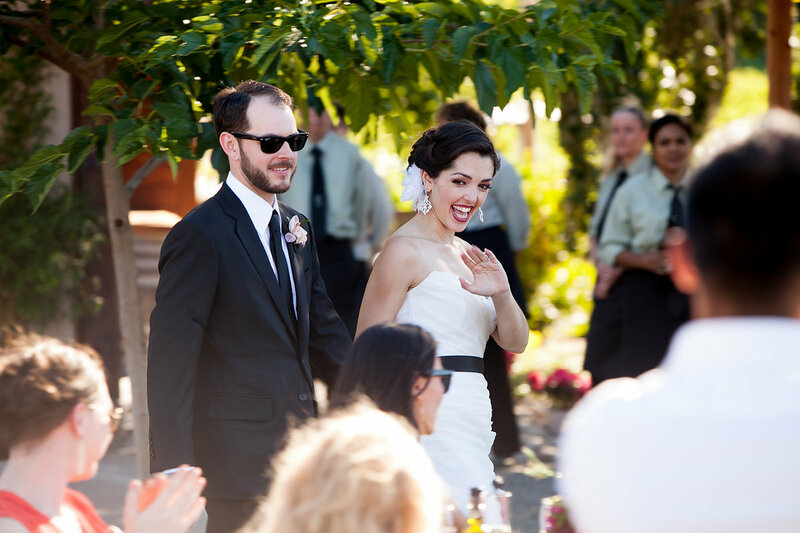 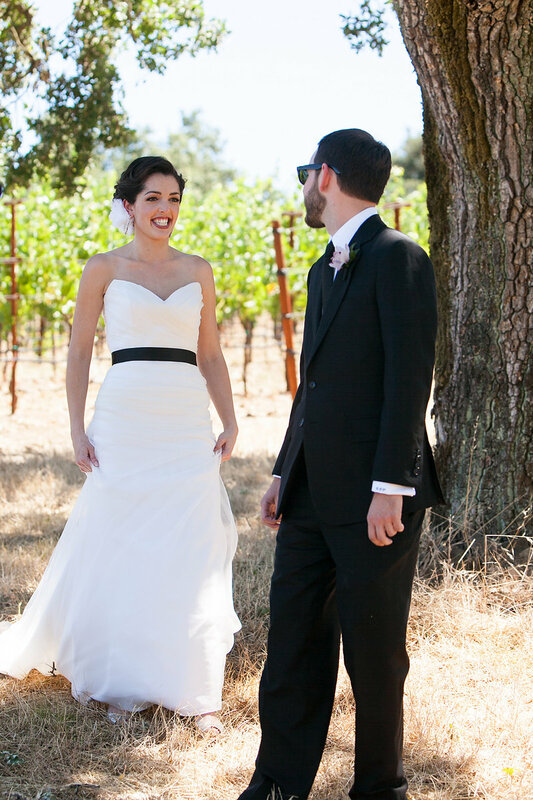 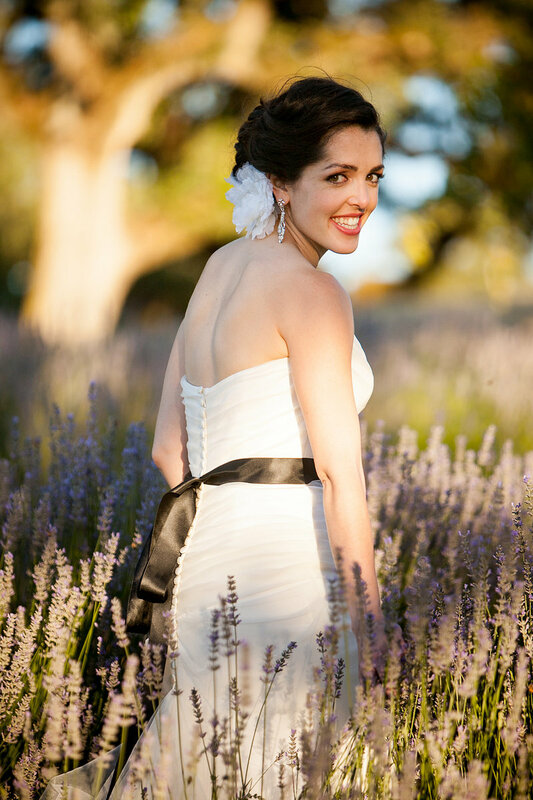 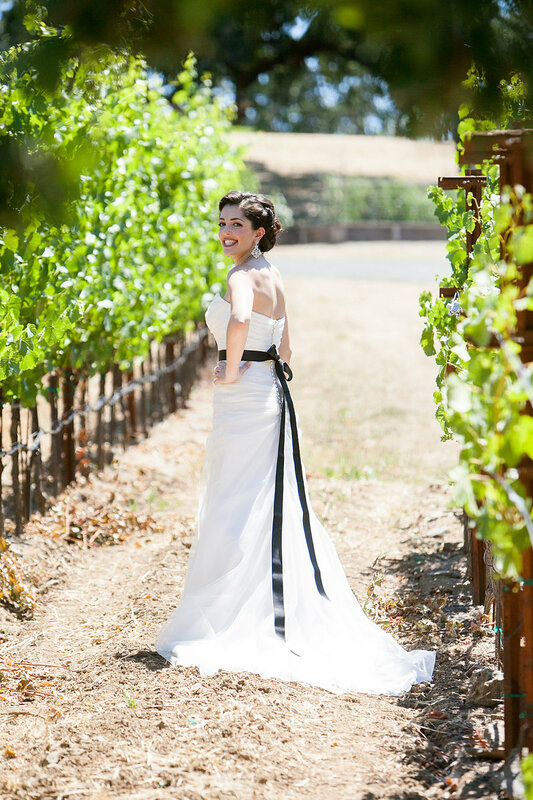 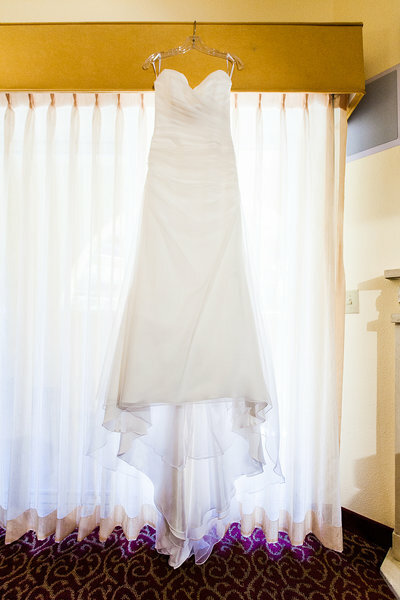 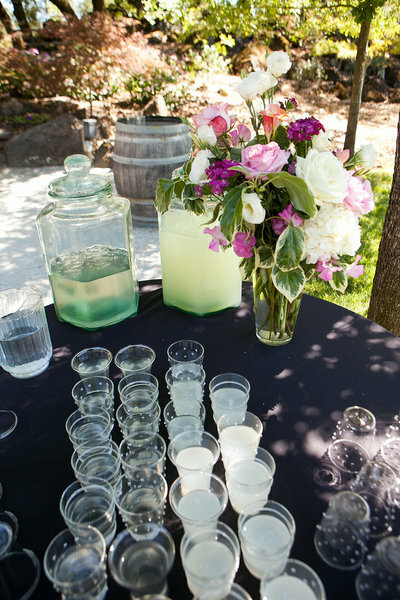 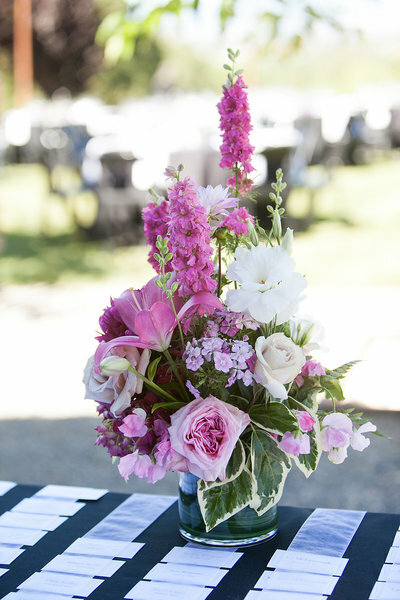 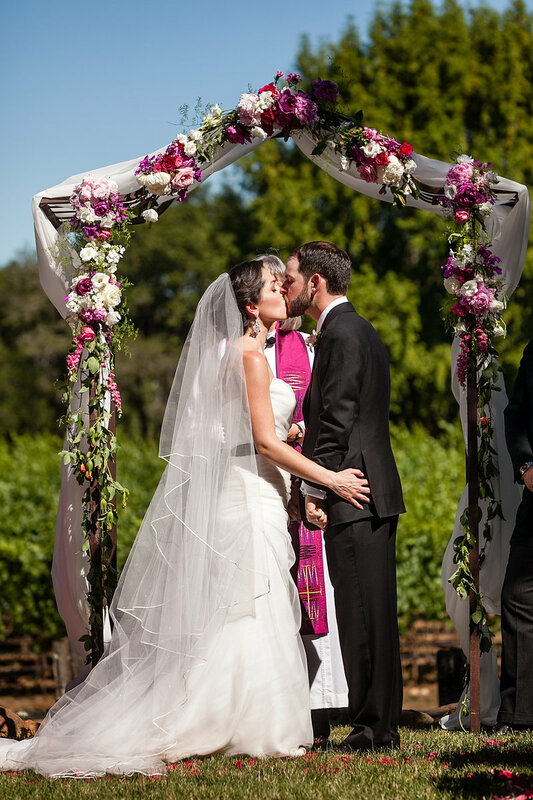 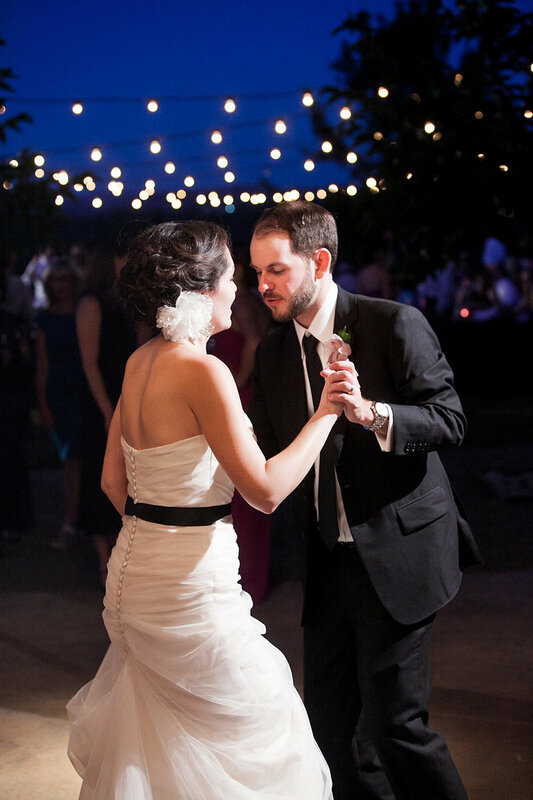 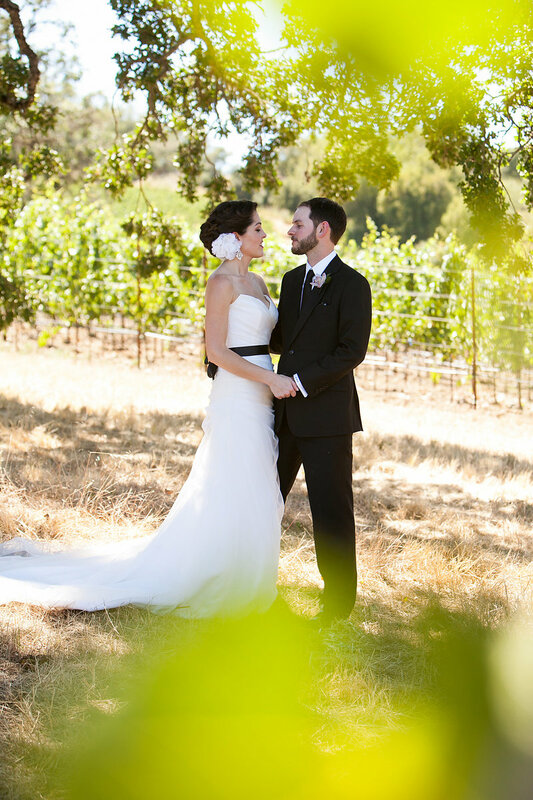 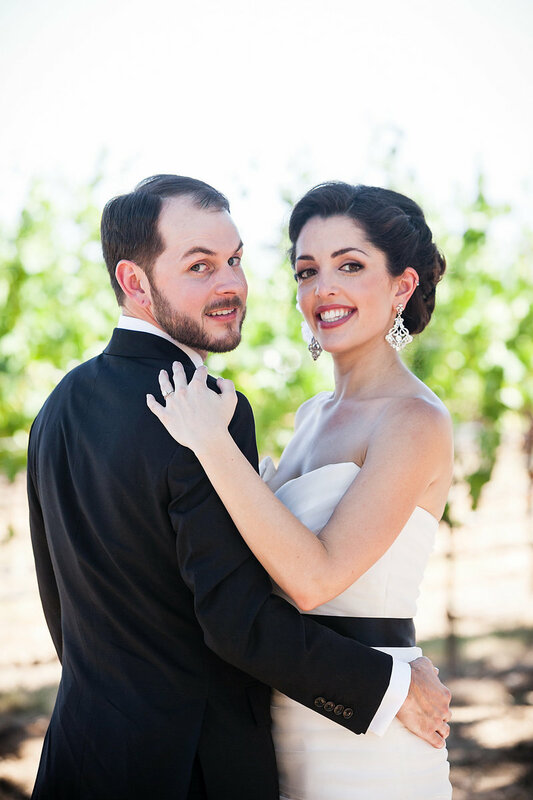 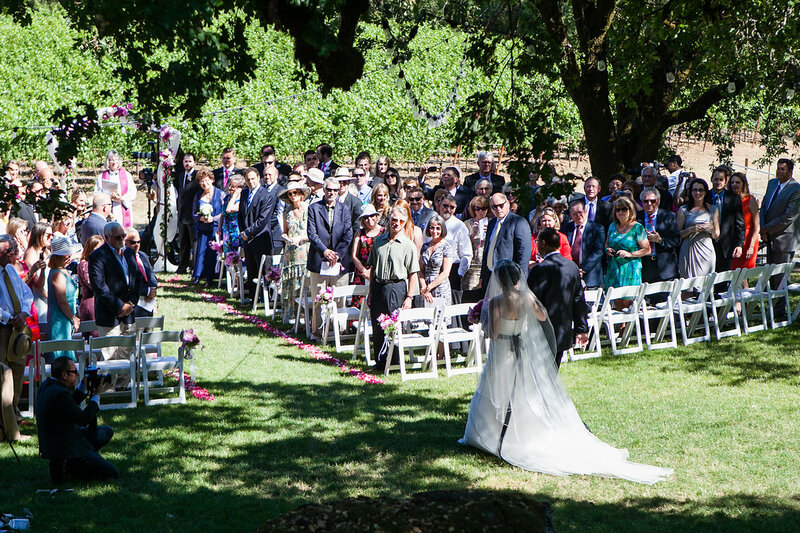 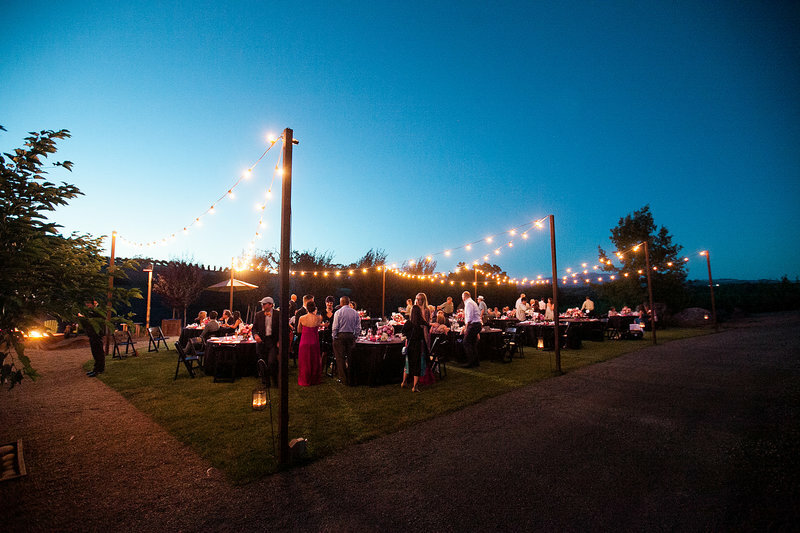 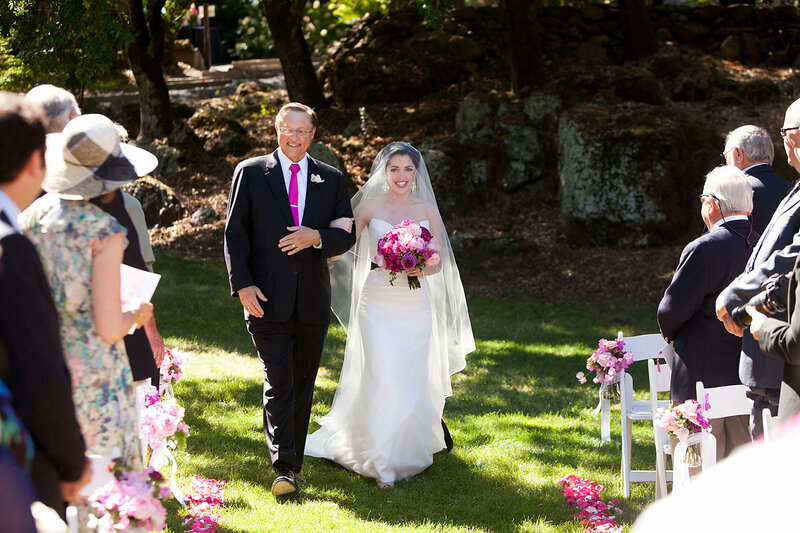 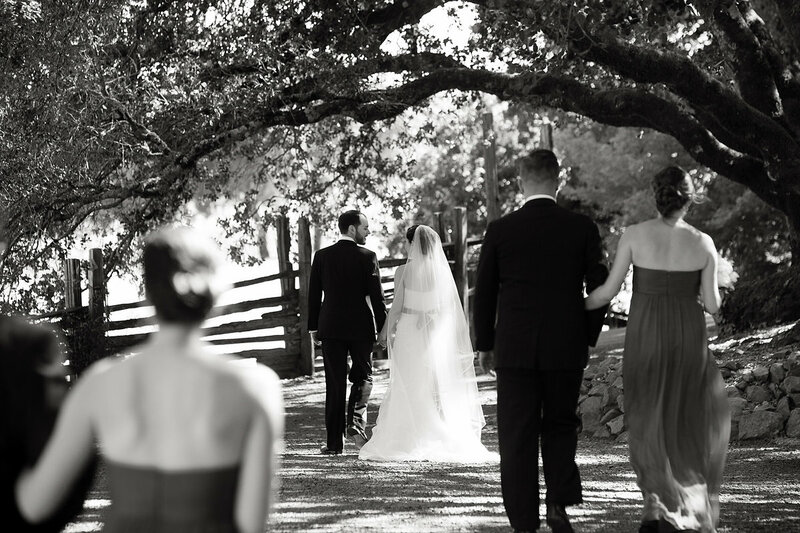 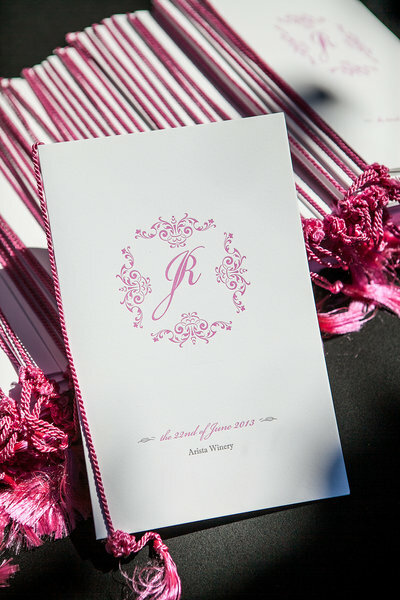 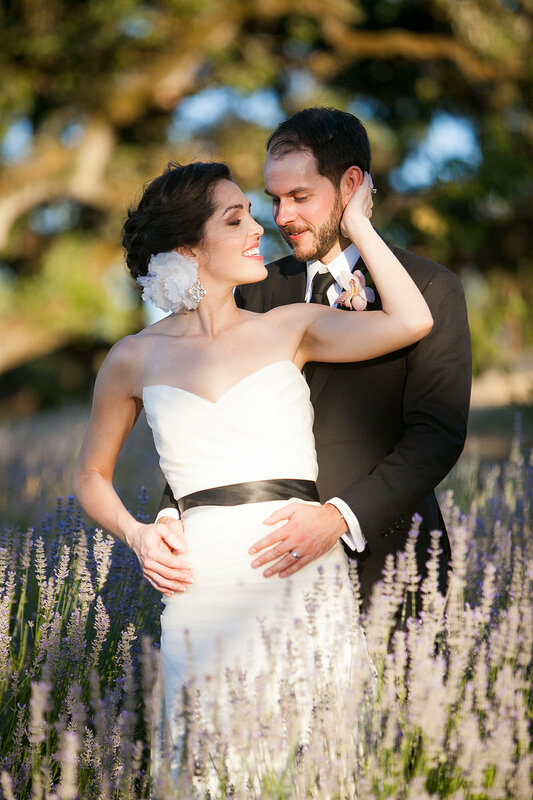 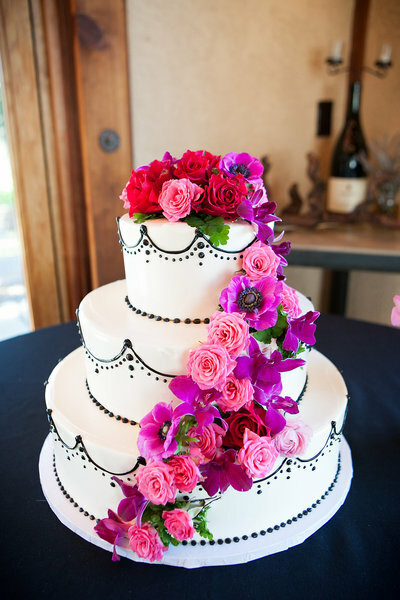 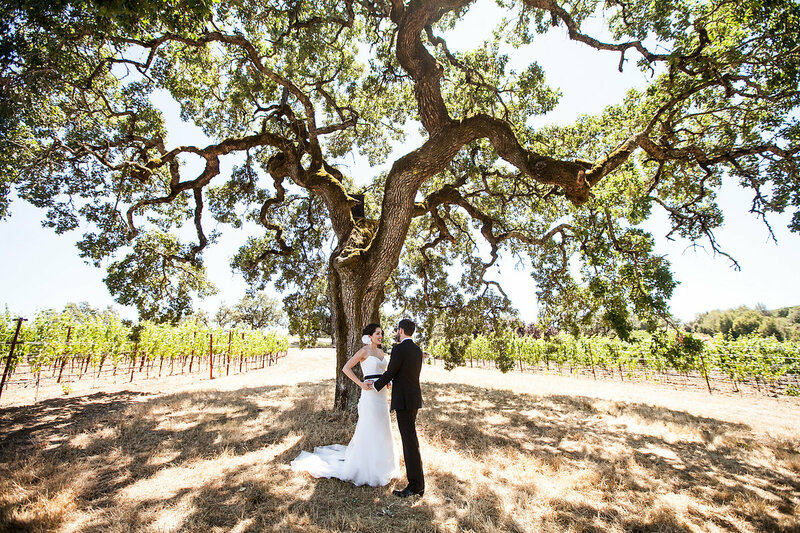 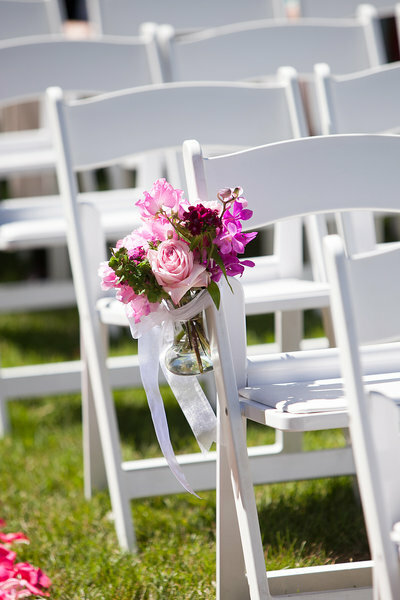 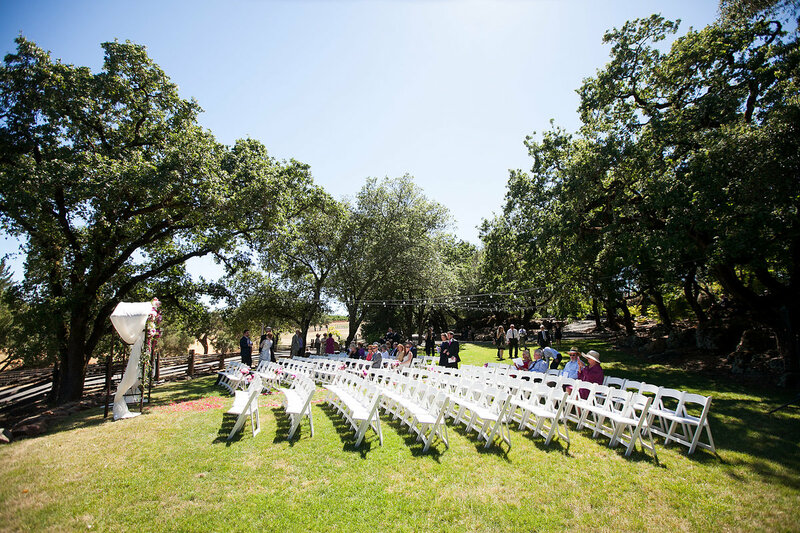 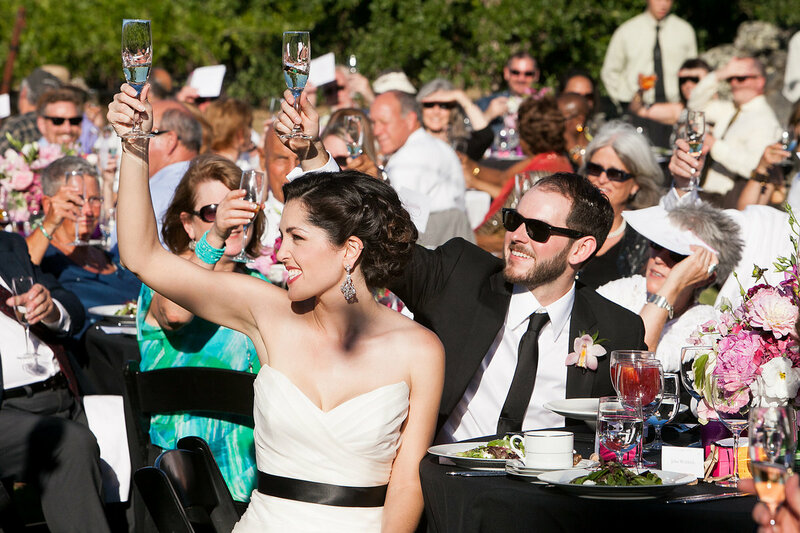 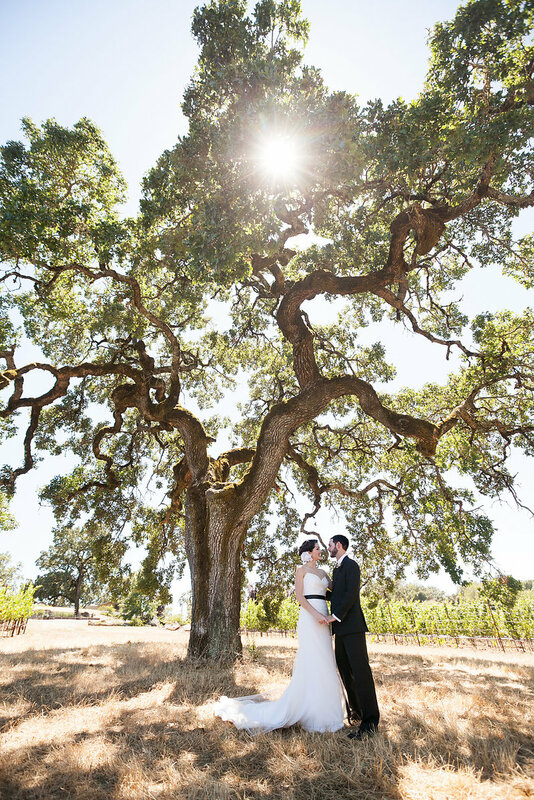 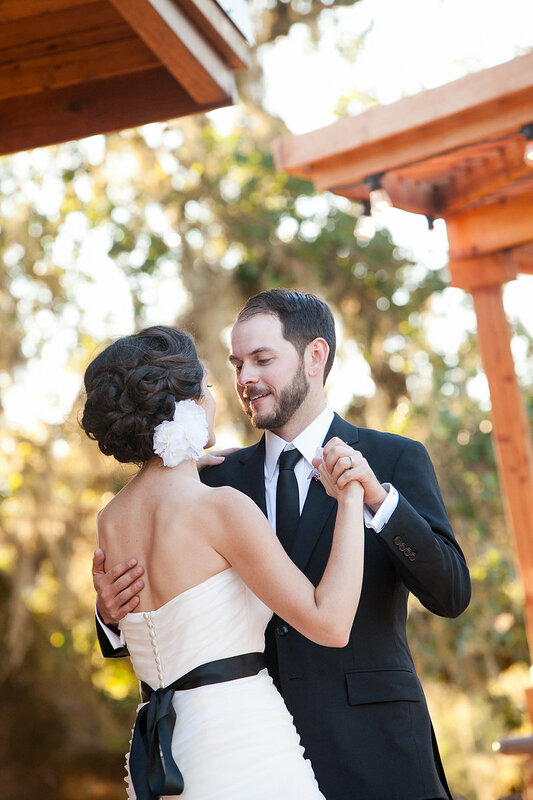 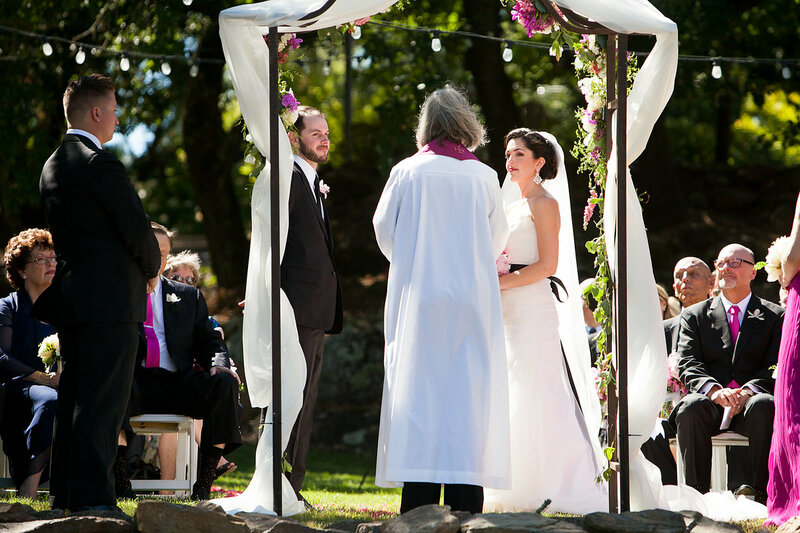 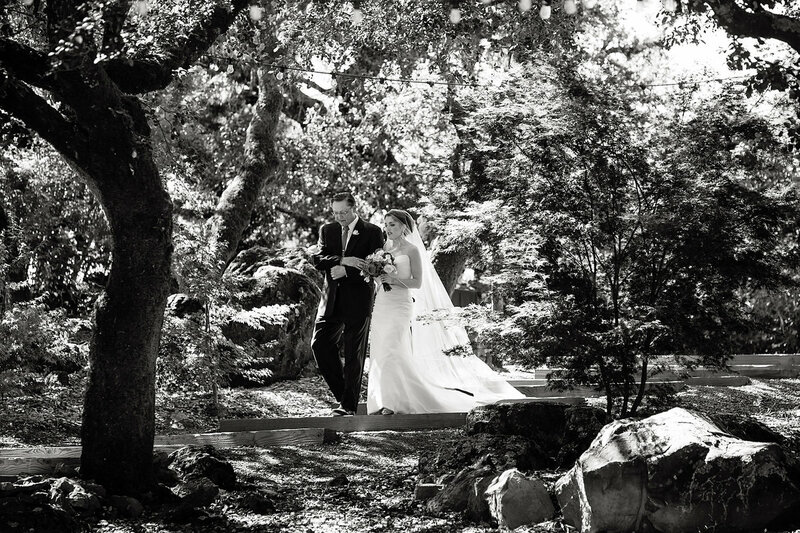 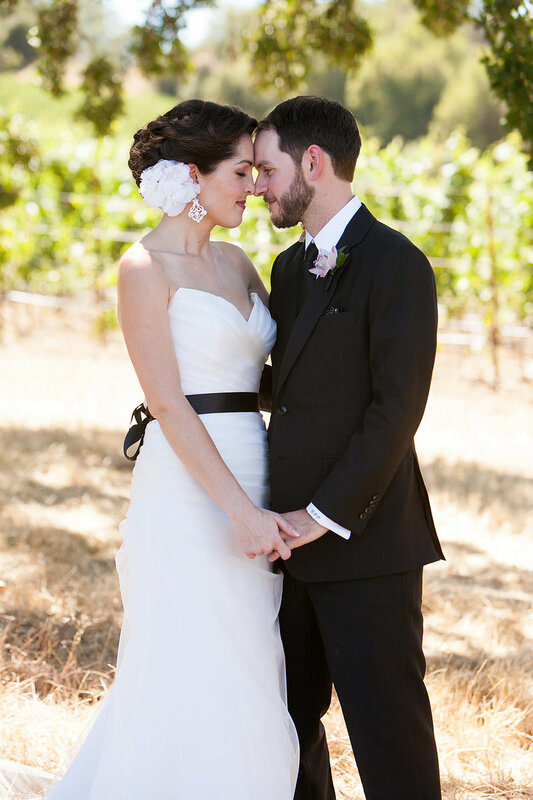 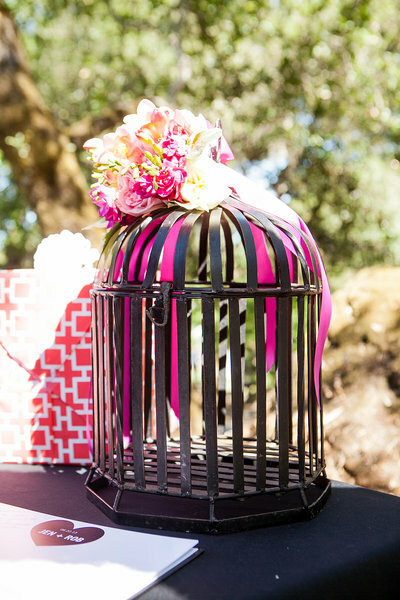 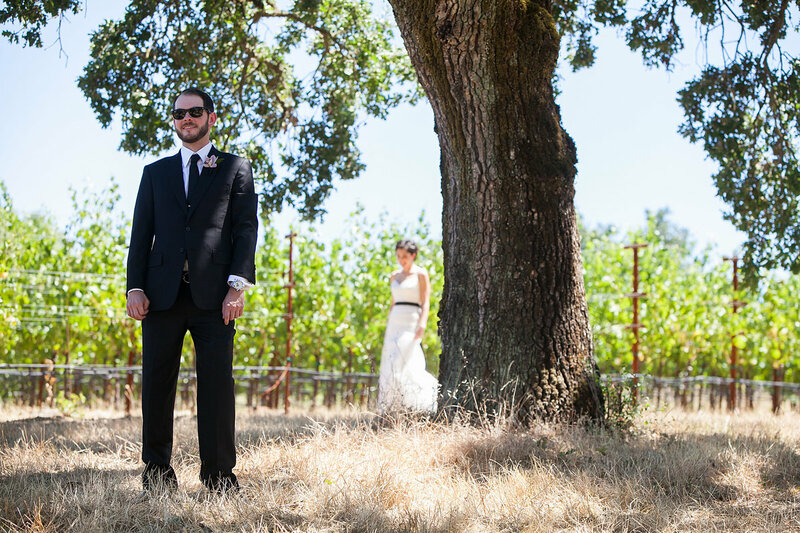 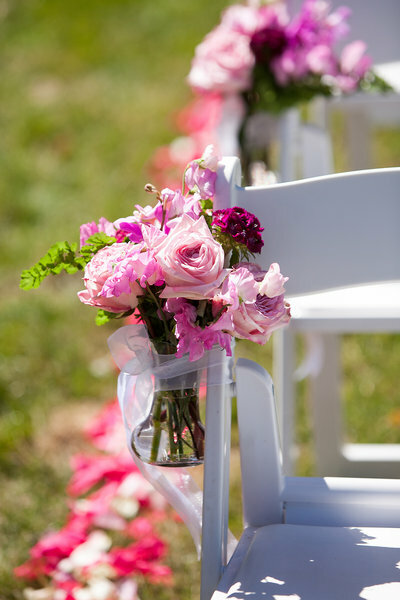 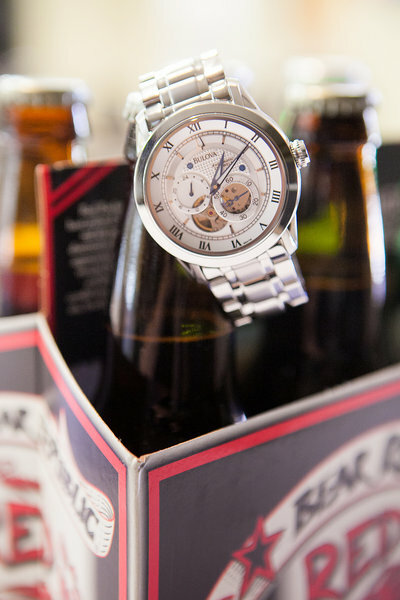 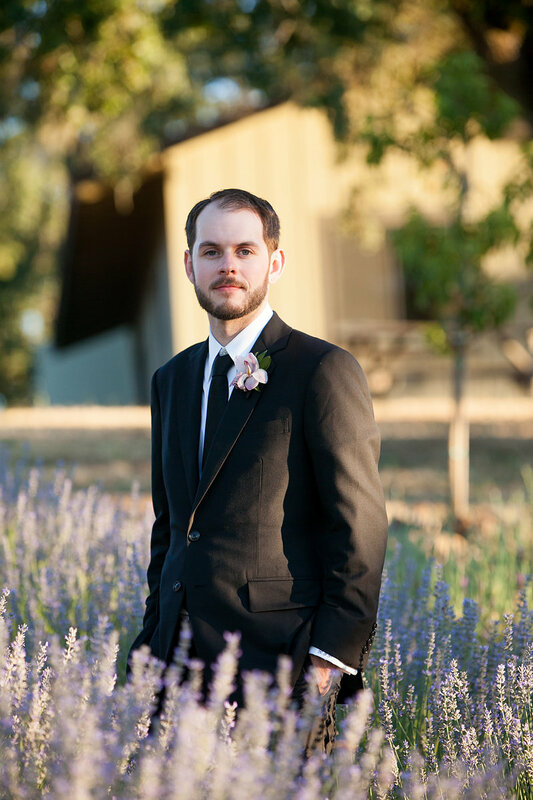 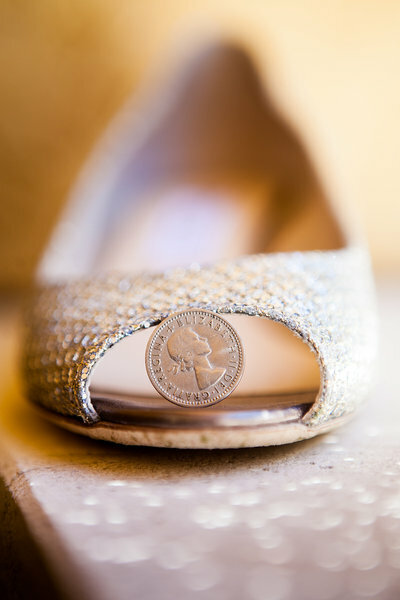 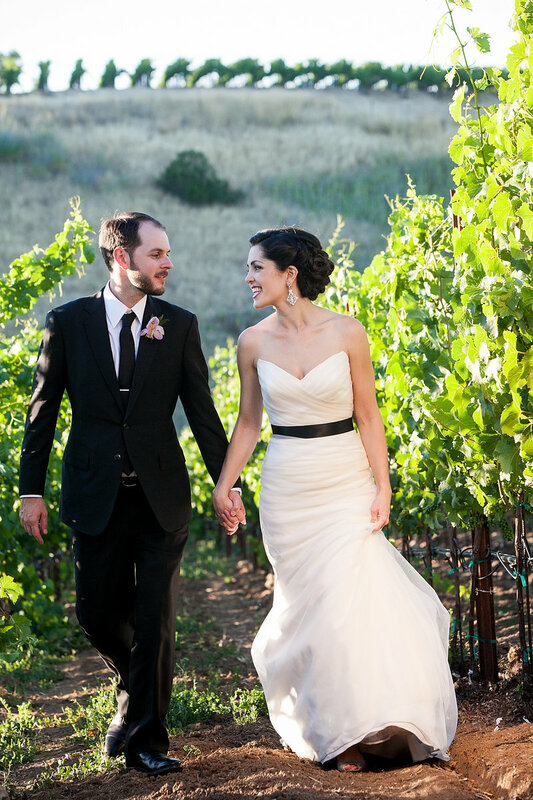 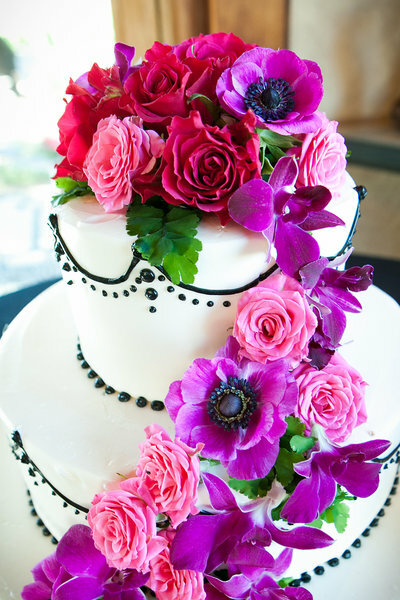 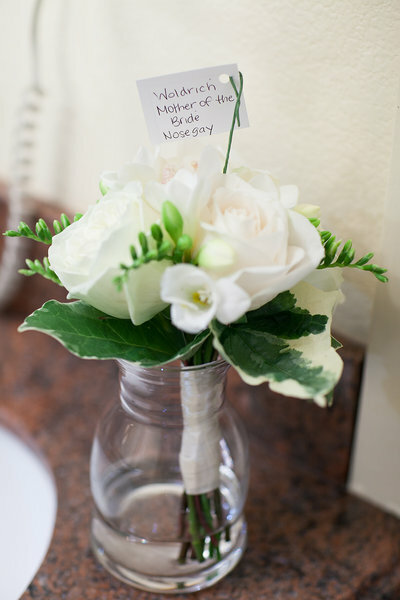 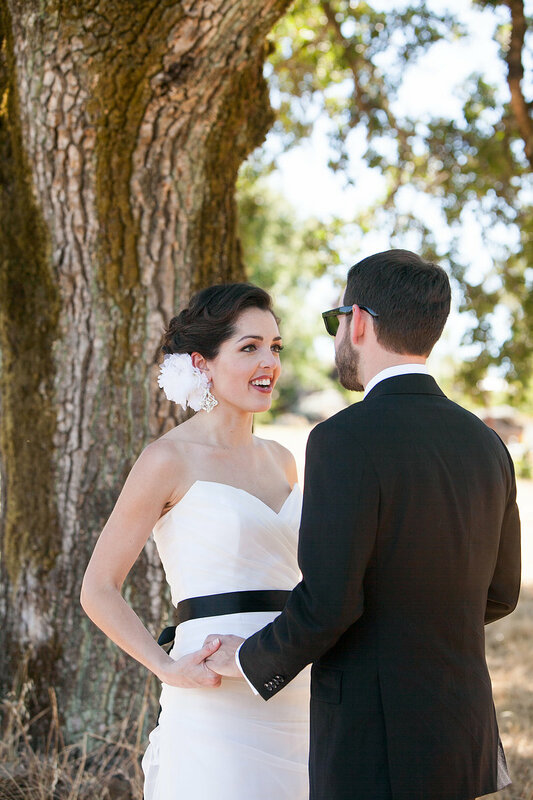 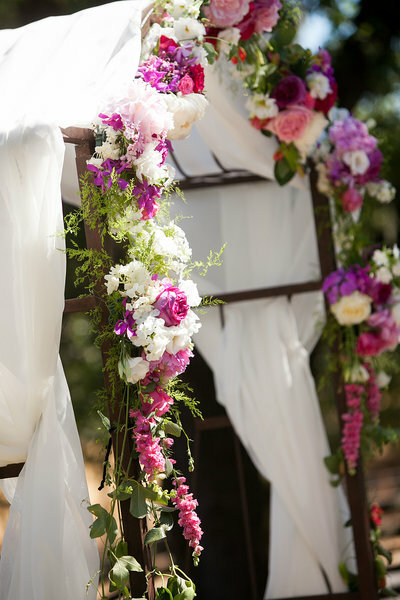 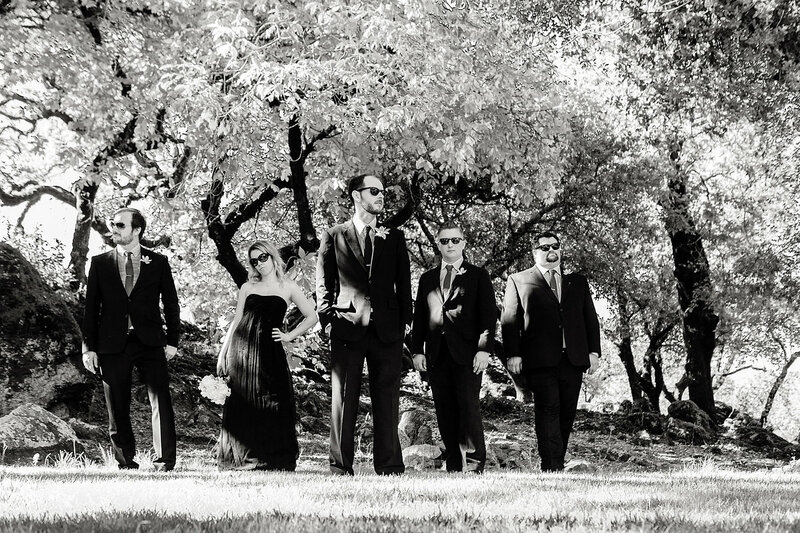 This couple's elegant outdoor event was held at the Arista Winery in Healdsburg, California, near the bride's hometown. 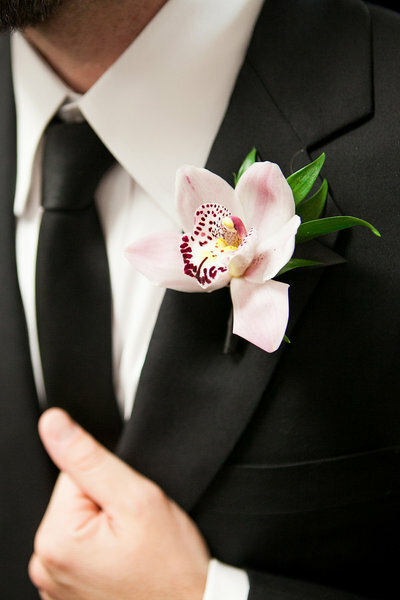 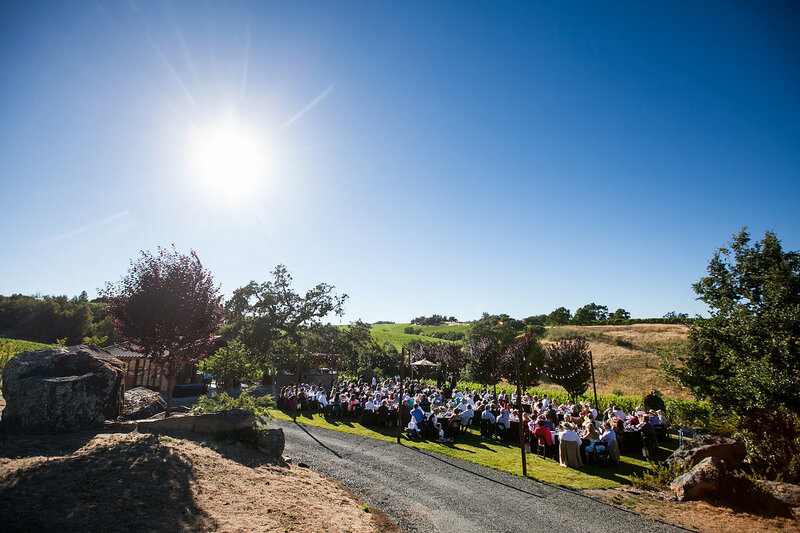 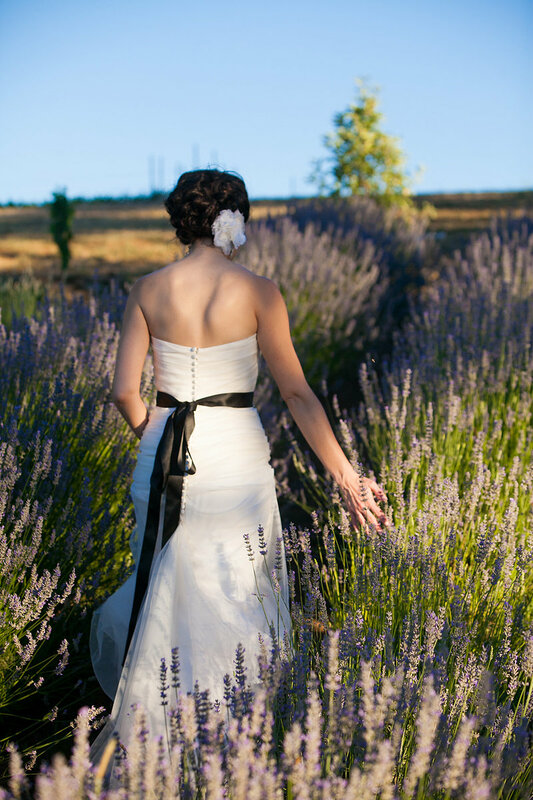 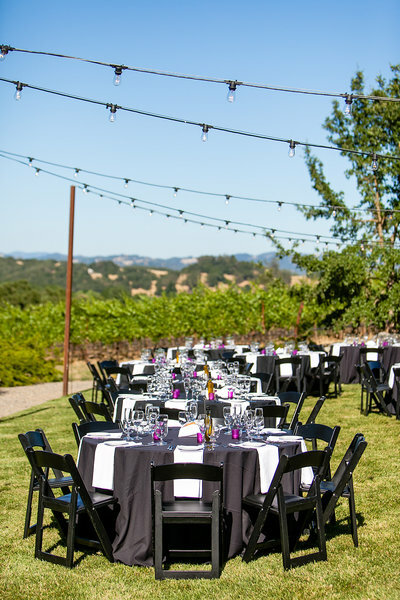 Imagine: a classy black-tie event set against rolling vineyards, hundred-year-old oak trees, and romantic fields of lavender. 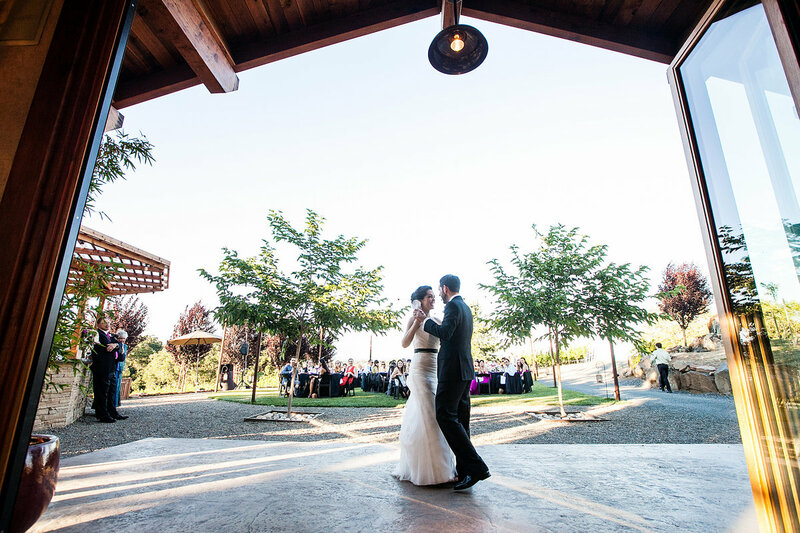 Our hearts go pitter-patter at such a spectacular setting. 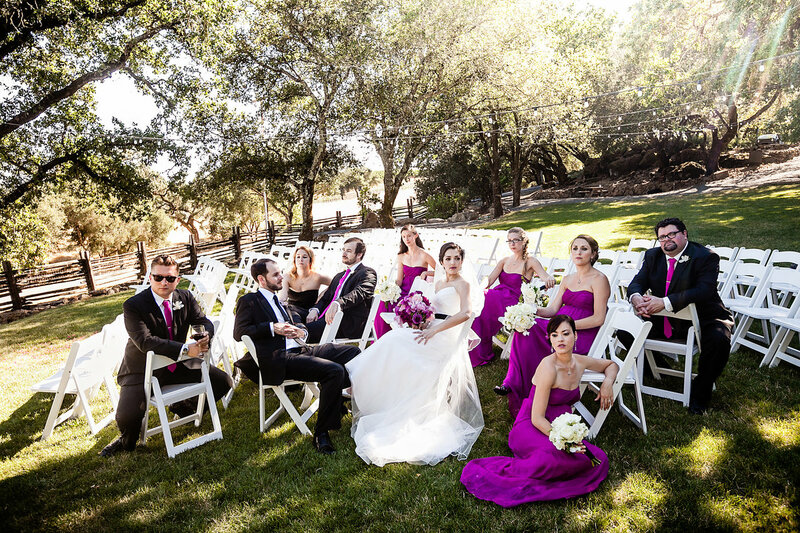 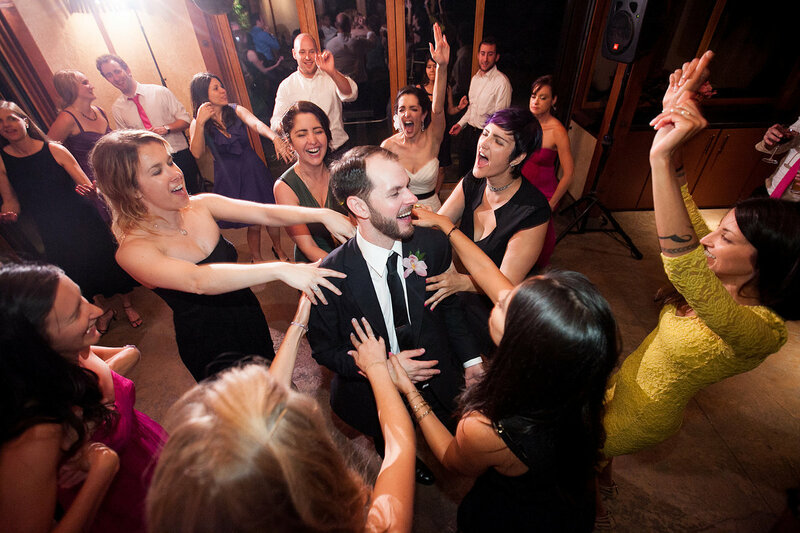 Of course, the best moments of a wedding are about friends and family. 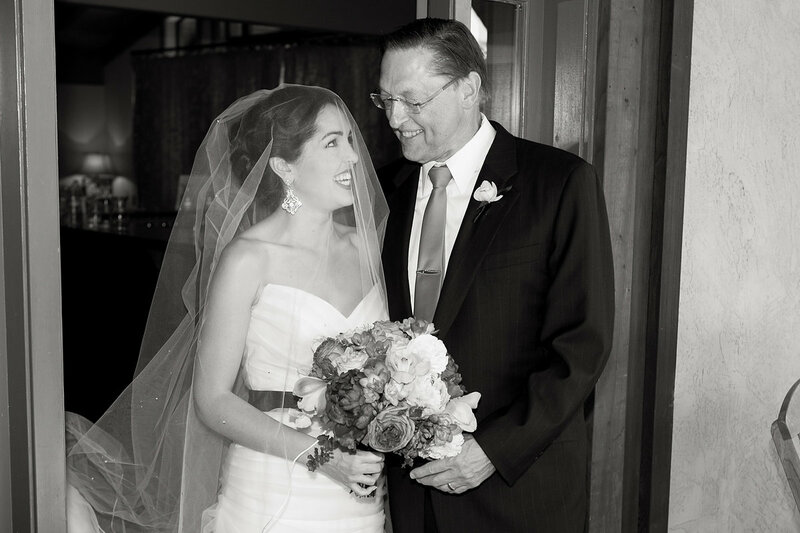 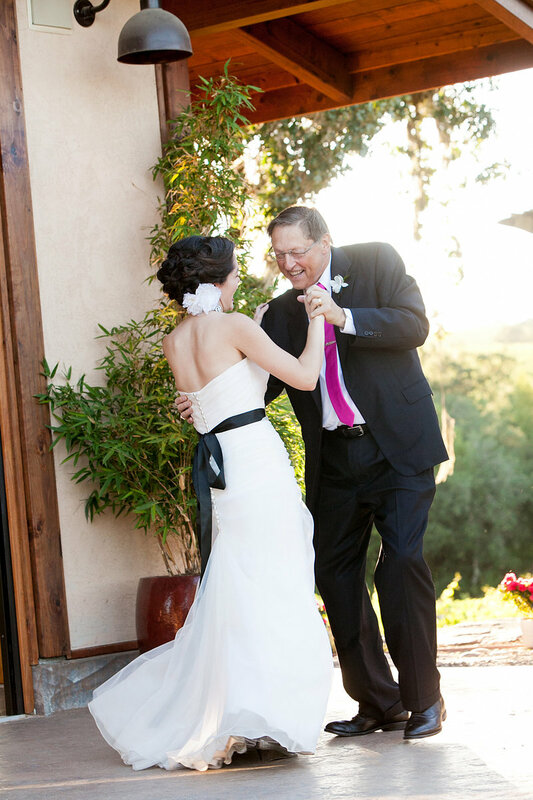 We still get choked up with these images of dad walking Jen down the aisle, then later twirling her on the dance floor for their father-daughter dance. 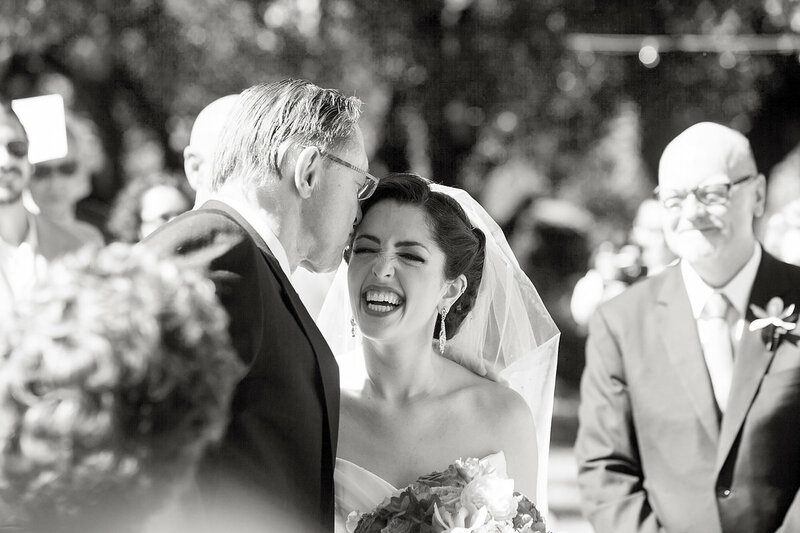 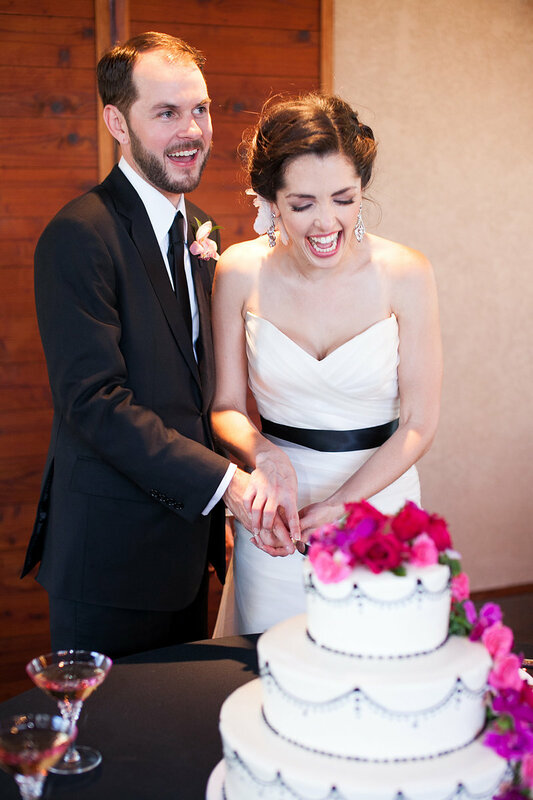 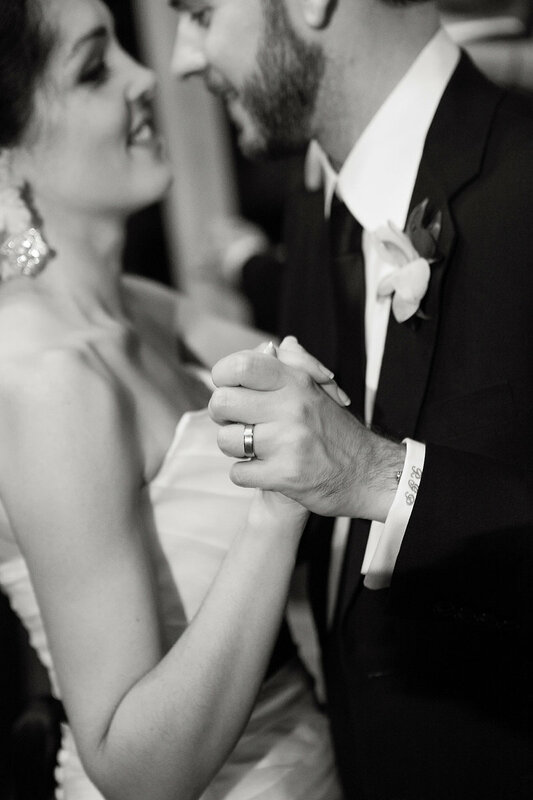 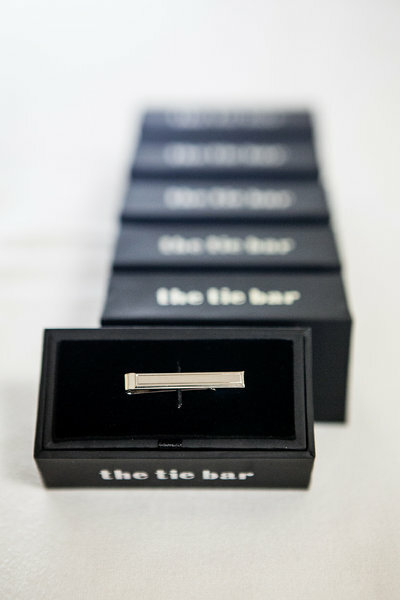 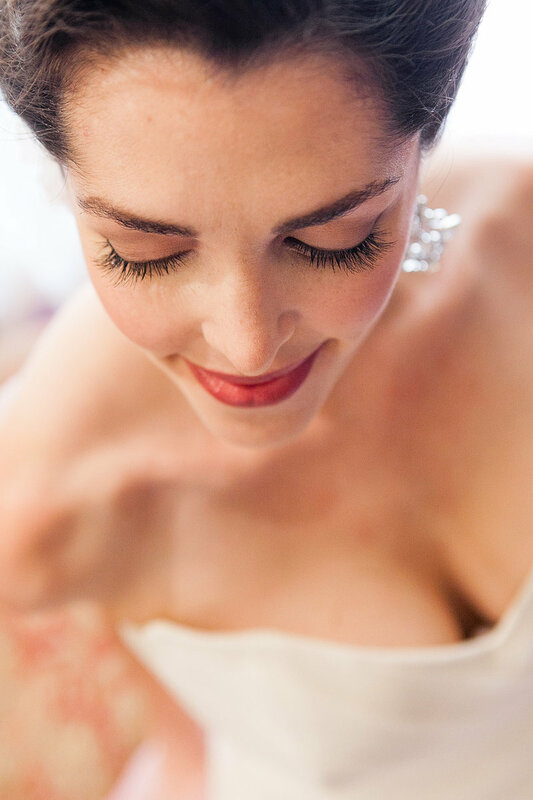 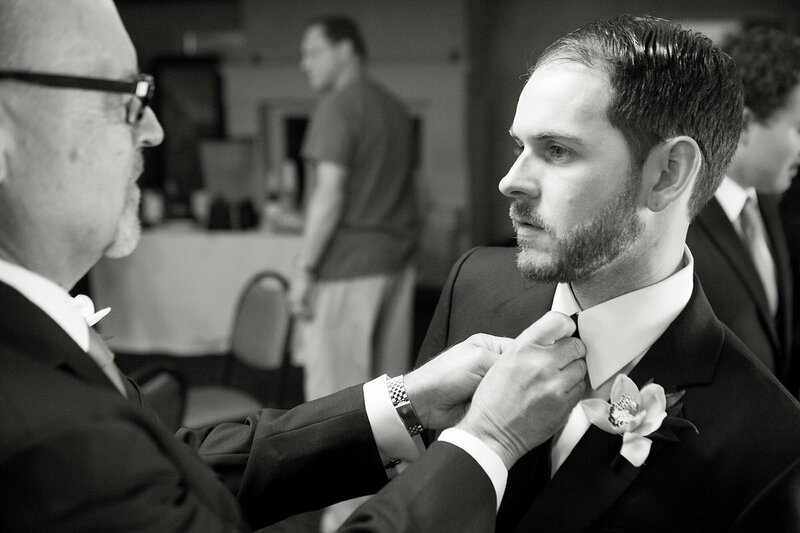 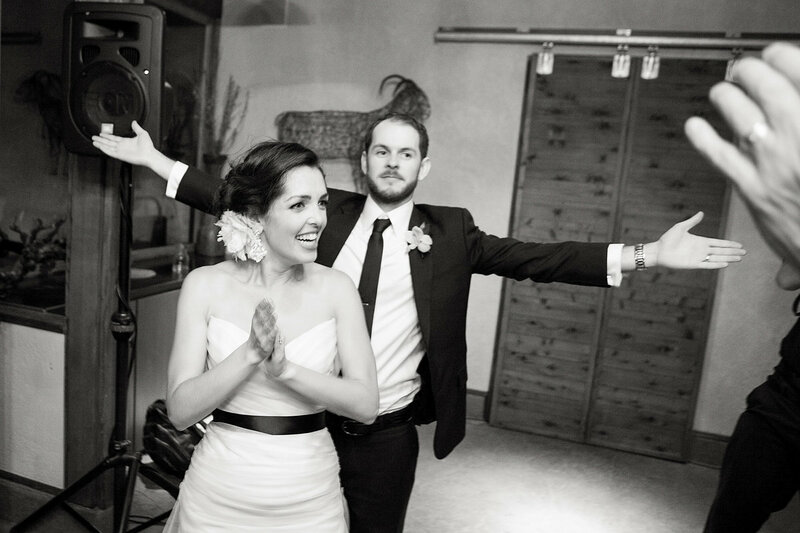 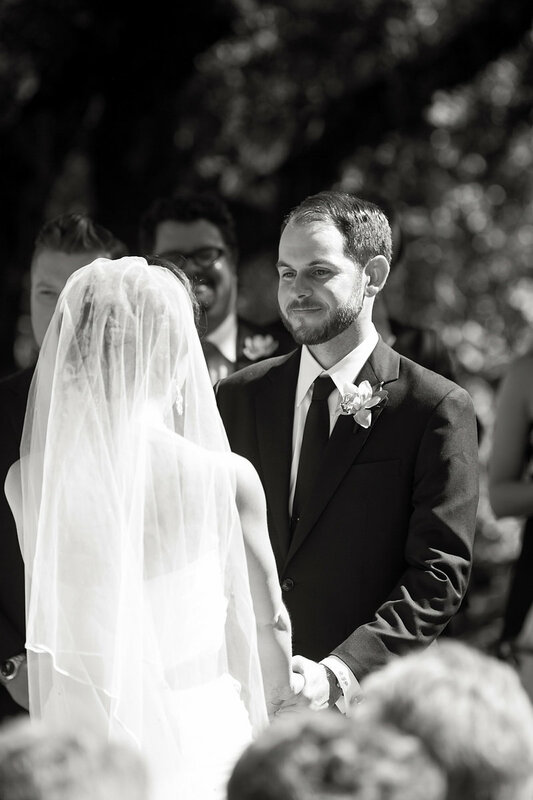 Weddings — as in life — are full of big and little moments, and photos simply help us remember them fondly.